Ted started as a licensed contractor in the painting industry. He has been involved in public works and school projects as a painting contractor since 1972 and as a general contractor since 1986. Ted is an acknowledged expert in Southern California solar construction and has consulted for network television news programs on the subject. Mike began part time with the firm in 1987 graduating to full time in 1995 after a career in baseball. He oversees the painting side of the business and has worked with school districts and public works projects. He is also a licensed contractor and owner of MC Construction #825276. Chris worked with the company since 1990 overseeing the construction side of the business managing work on schools, public works and private businesses. His comprehensive knowledge of construction and electrical projects greatly benefits the company. He is also a licensed contractor and owner of CBC Construction #756842. Ms. Case worked as the bookkeeper and office manager since the company started. Marcia handles all of the office functions and makes sure the billing, payroll, taxes, banking, technology, facility and administrative work gets completed each day. 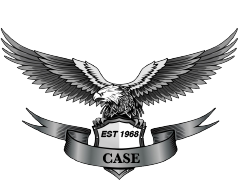 Case & Sons Construction operates with state license #518124 and is fully insured and bonded.